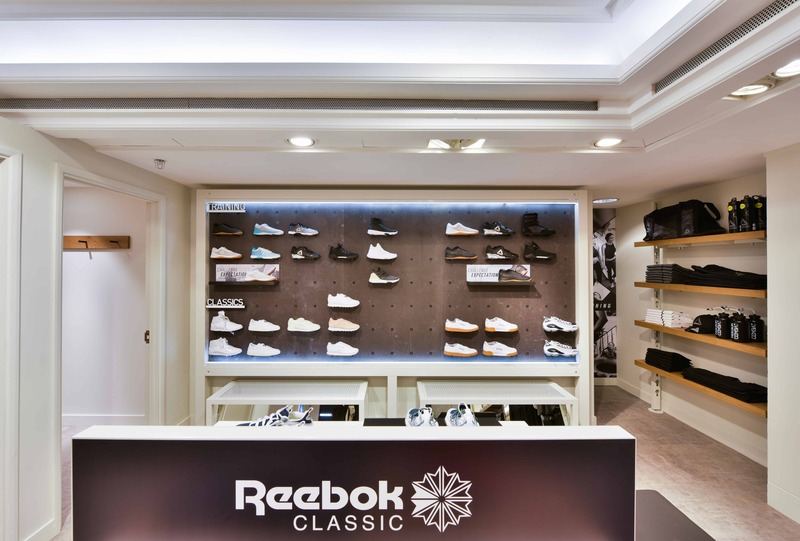 Reebok presents visitors with an impressive branded space, situated in the capital’s esteemed department store, Harrods. 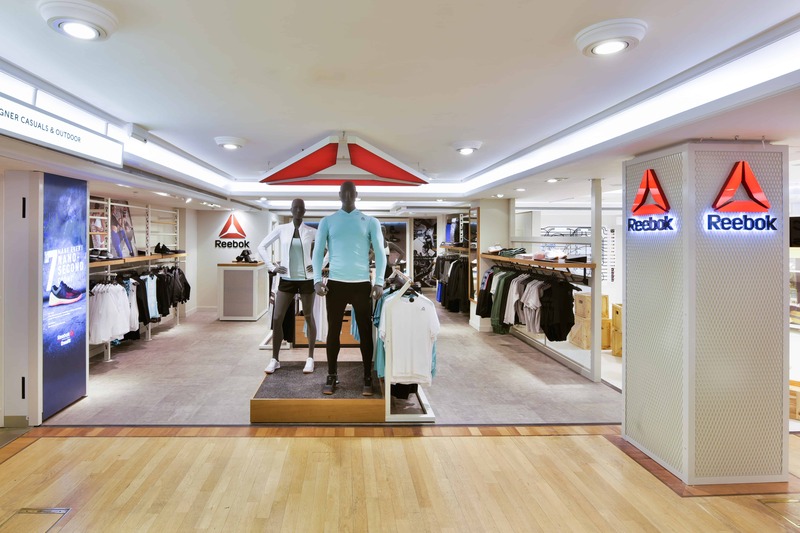 D4R continue to support the brand’s latest retail activation, by delivering and installing the finest branded space for the Reebok brand. The Reebok Drydock space within Harrods is a first for the brand and D4R were thrilled to control planning, technical development, manufacturing and installation; completing the project with efficiency and strict attention to detail. We collaborated with retail agency TRC, who were responsible for layout and design approvals. The final result is superb, a mark of the perfect collaboration between Reebok, D4R and TRC. 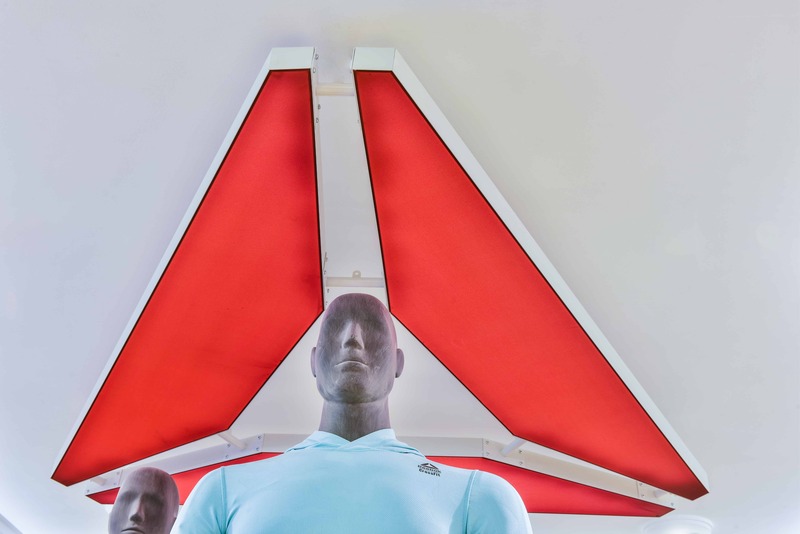 As you approach the Reebok space, the illuminated three-dimensional Reebok logo’s catch your attention; particularly the largest and most prominent logo hanging over the central cluster of mannequins. It is a clear brand identity marker, firmly rooting the Reebok brand to this new space. The powerful lighting used throughout the space draws a potential customer in from each entry point. The cool white LED lights in frosted glass panelling around the bulkhead, and low level visual merchandising brings light and airiness to the space; creating a natural shadow below the apparel and product displays. 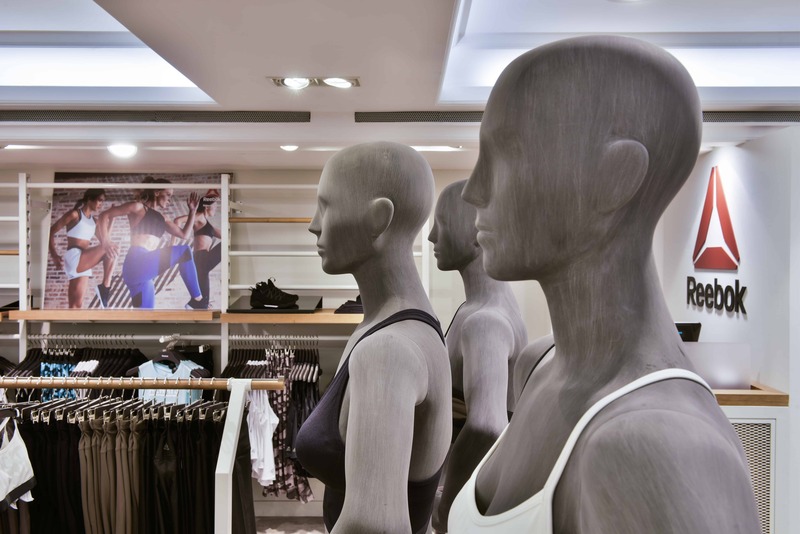 Statement mannequin displays bring a sense of drama to the forefront of this space and with large walkways to either side of this launch zone, they depict almost a sport fashion runway. 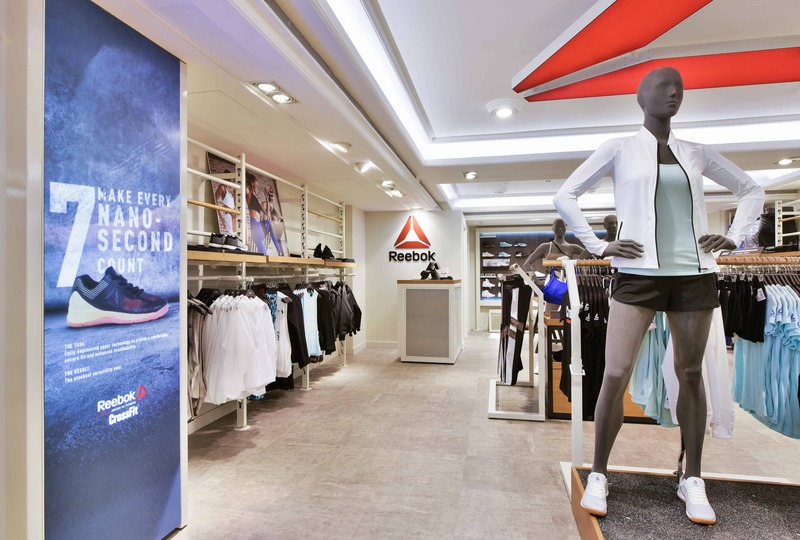 This drama is further enhanced with the use of energetic lifestyle imagery on lean-to boards, as well as large scale light boxes featuring the Reebok Crossfit Nano. Walking throughout the Reebok space, the subtle use of industrial finishes and timber cross rails is a call out to the theme of fitness and gym workouts. 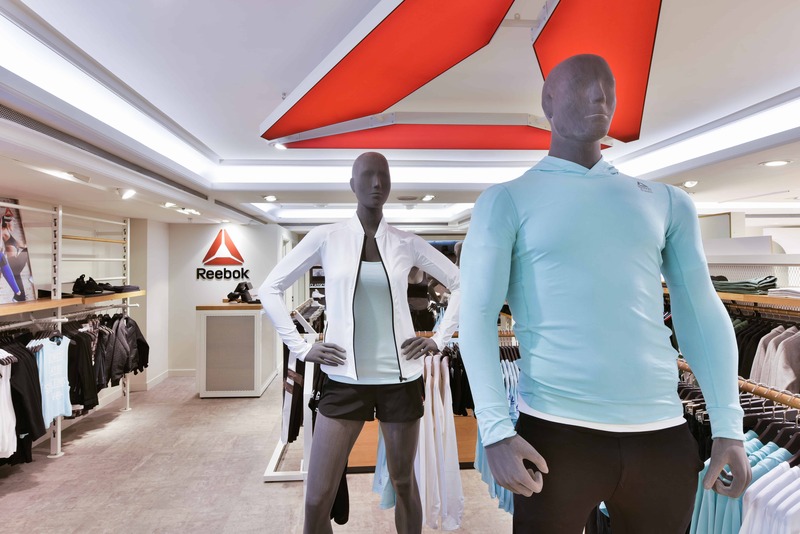 Alluding to their own Fit Hub stores, this introduction of premium gym-like equipment has quickly become synonymous with Reebok at retail. 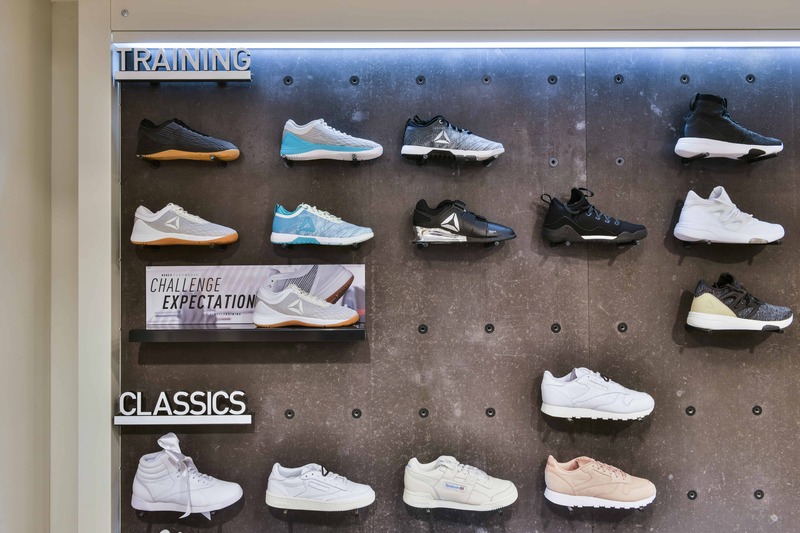 At the rear of the concession, consumers can find the illuminated footwear wall clearly displaying Running and Classics category types. Balanced delicately on sleek metal rods in front of a dense concrete effect back drop, the footwear is the hero with minimal visual disruption and occasional branding. A bespoke table created with contemporary shape and materials, features a hero Reebok Classics display, separate to the footwear wall. This impressive new branded space for Reebok introduces the Harrods visitor to a bright, calming and contemporary space with a sleek shopping experience. 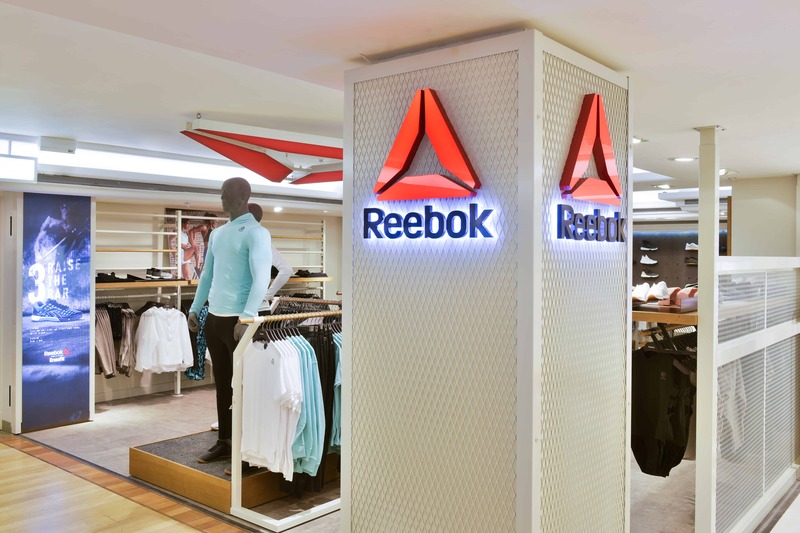 D4R were thrilled to be part of this Reebok story, delivering their new retail space with the utmost efficiency; we're excited to get involved in the next project for this remarkable brand. D4R continue to support our ambition to design, deliver and install the best branded space in the market place for our brands. Our Reebok DRYDOCK space is a first for the brand globally - a project that D4R managed with great ease and efficiency from beginning to end. The final result is superb!